Philip Nash Design is based in England, with most of his gardens located in London and the South East. In addition he has been commissioned for work nationwide and abroad. Most recent completed projects are in Putney, Sevenoaks, Henley-on-Thames, New York and Javea, Spain. Philip Nash has been creating contemporary gardens since 1990. 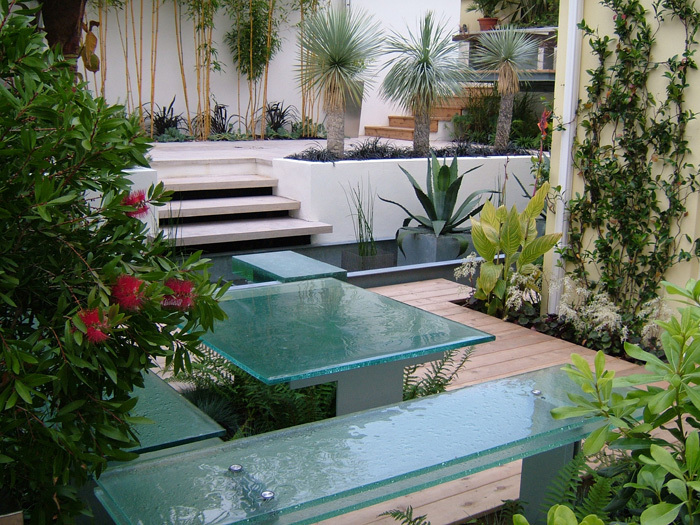 He first exhibited at the Chelsea Flower Show in 2004, winning a gold medal for his Chic garden, ‘Steel & Glass ‘. In 2008, he returned, and was awarded a Silver medal for his main show garden ‘ Elevations ‘, showcasing his contemporary style and desire to push design boundaries. It received worldwide acclaim.